Toronto is Canada’s largest city and is North America’s fifth most populous municipality – with a population of 2.7 million people. It lies on largely flat land, with little in the way of hills. 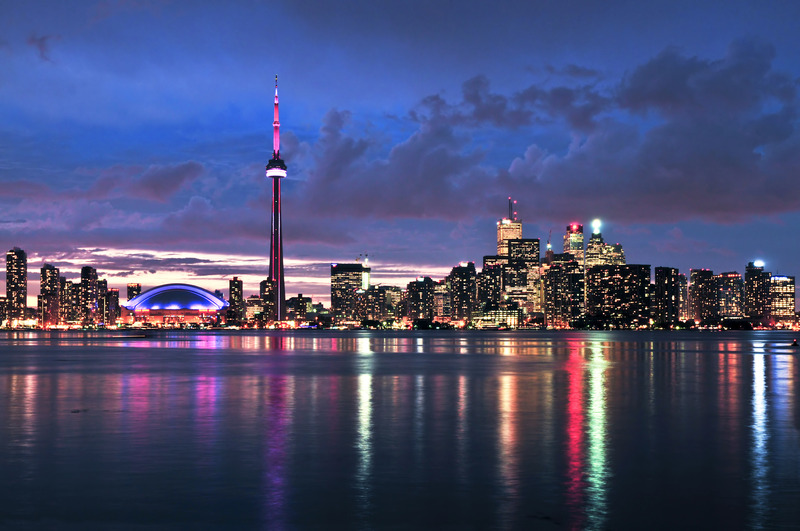 The Greater Toronto Area (GTA) is home to over 6 million people. Toronto prides itself on its wide range of cultures, languages, food and arts and is one of the world’s most diverse cities with almost half of its population born outside Canada. Please check the Statistics Canada website for more accurate and updated information. Toronto is one of the greatest cities in the world to do business, consistently ranked at the top when it comes to global competitiveness, innovation and quality of life. Toronto is Canada’s commercial capital and is the home to the Toronto Stock Exchange and some of the nation’s largest banks. The city is also a global hub for IT and New Media development. Ontario’s plentiful natural resources, such as hydroelectricity and raw materials, have helped Toronto and its surrounding municipalities to become major industrial centres, producing more than 50 percent of Canada’s manufactured products. A leader at all levels of learning; Toronto is a progressive, education-focused city with one of the most highly educated populations in the world. The University of Toronto is one of the world’s most prestigious post-secondary institutions, ranking 24th in the Academic Ranking of World Universities. There are three different campuses, located in the Downtown area as well as the west (Mississauga) and east (Scarborough). Toronto is also home to three other universities, OACD, Ryerson and York University as well as several community colleges. Toronto is well-known for its creative arts scene, sporting events, a vibrant nightlife, and restaurants, bistros and eateries featuring cuisine from just about any nationality. The Art Gallery of Ontario and Royal Ontario Museum are popular with both tourists and residents. Toronto is a major performing arts centre, with more than fifty ballet & dance companies, six opera companies and two symphony orchestras, performing in many notable venues including Roy Thompson Hall, The Hummingbird Centre and The Centre for the Performing Arts. The city is also known for its many amusement parks; the best-known of which is Canada’s Wonderland. Toronto has 6 major sports teams in Hockey, Basketball, Baseball, Football, Soccer and Lacrosse. The major venues for sporting events are the Air Canada Centre, Rogers Centre and BMO Field.